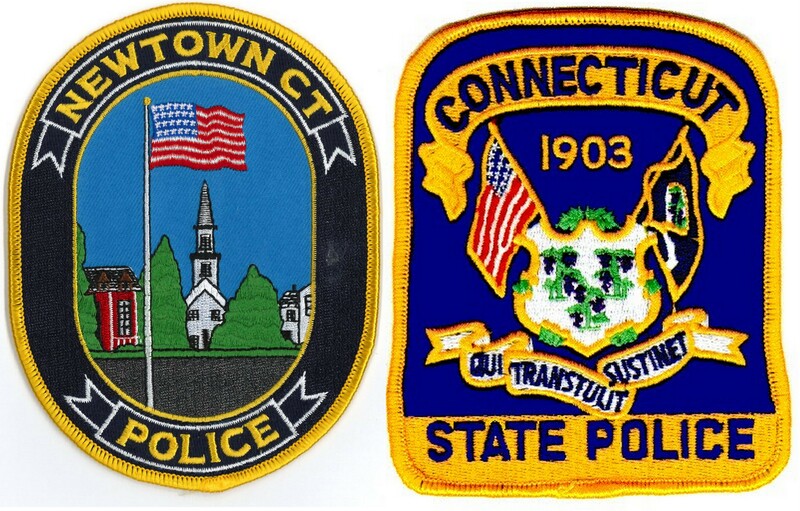 On January 20, at about 8:47 pm, police were called to investigate a reported minor collision between a vehicle operated by a local resident and a utility vehicle owned by Connecticut Light & Power Co. According to the report, Edward Lindblom, 54, of New Milford, was operating a commercial International Model 4000 and was parked beside another utility vehicle on High Rock Road near the intersection of Berkshire Road when Daniel Scott Williamson, 34, of Sandy Hook, approached the two parked trucks from behind in a 2014 Mercedes Benz Glk350. As Williamson attempted to pass the truck on its right side, police say the truck also moved forward, striking the left front bumper of the Mercedes. Lindblom was issued a verbal warning for Unsafe Movement of a Standing Vehicle. Police responded to a reported minor two-vehicle collision at about 4:12 pm on January 20 at the intersection of Equestrian Ridge and Poverty Hollow Roads. According to the report, Paul Arne Larsen, 58, of Fairfield was traveling north on Poverty Hollow operating a 2004 Chevrolet Silverado pickup when he came up behind a 2003 Ford F550 Super Duty pickup operated by Gary Gaydosh, 63, of Fairfield. Seeing the roadway was blocked with police tape due to downed wires, police say the Ford began backing up, striking the front of the Chevrolet and causing minor damage. After a brief investigation, Gaydosh was issued a verbal warning for unsafe backing. Four vehicles were involved in a crash at the Interstate 84 Exit 11 off-ramp and Wasserman Way at about 6:56 pm on January 21. According to police, Michael Yurchak, 61, no address given, was operating a commercial International LT6254X2 and towing an unidentified 2019 passenger car exiting Interstate 84 and turning east on Wasserman Way when the towed vehicle broke loose, leaving its front bumper attached to the tow rig. That vehicle continued into the intersection, striking a 2014 Ford F150 pick-up operated by Lee James Parsons, 61, of New Milford, who was waiting to turn left from Wasserman Way onto the Exit 11 on ramp. After that collision, the passenger vehicle rolled backward and struck a second commercial International truck being operated by Donald Golden, 53, no address given. Both commercial vehicles were owned by Foremost Transportation. The unidentified passenger vehicle and the Ford were both towed from the scene. Sandy Hook Fire & Rescue assisted at the scene. Yurchak was issued an infraction for failure to secure a load. Police responded to a reported two-vehicle collision on Mount Pleasant Road at the intersection of Hawleyville Road at about 5:56 pm January 24. According to the report, Laura Rubinson, 58, of Newtown had stopped her 2011 Toyota RAV4 at the red light when a 1992 Pontiac Grand Prix operated by Linda Stott, 55, of Sandy Hook pulled up alongside. When the light changed, both vehicles moved forward, causing a sideswipe collision. No injuries were reported, and Stott was issued a verbal warning for passing on the right. At about 5:04 pm on January 25, local police observed a vehicle with an expired registration on Wasserman Way near the Exit 11 ramps. After pulling the vehicle over and investigating, officers confirmed the vehicle was unregistered, had no insurance, and its operator, Steven Vargo, 43, of Yorktown Heights, N.Y., had an outstanding warrant from a previous incident in Fairfield several years earlier. Vargo was arrested and charged with failure to appear in the second degree, operating without insurance, and operating an unregistered vehicle. He was processed and released on a $500 surety bond and issued a court date of February 13 in Bridgeport for the warrant, and February 6 in Danbury for the motor vehicle charges. On January 26 at approximately 10:13 pm, police received a 911 call regarding a disabled motor vehicle in the area of 38 Mount Pleasant Road. The caller also reportedly expressed concern about the condition of the operator. Upon arrival, police say they encountered Owen Campbell Gaston, 22, of Newtown, who became argumentative with officers, according to the report. After further investigation, Gaston was arrested and charged with DUI. He was released on a $100 cash bond after processing and issued a February 5 court date. At 12:51 pm on January 27, police responded to a minor collision at the intersection of Main Street and Church Hill Road. Upon arrival, police say Thercia Dasilva, 24, of Sandy Hook was operating a 2004 Chevrolet Trailblazer and had stopped at the stop sign on Church Hill Road. As she turned northbound onto Main Street, she drove into the path of an oncoming 2013 Toyota Tacoma pickup, which struck the left front of the Chevrolet. No injuries were reported. Dasilva was issued a verbal warning for a stop sign violation. Police were called to the area of 46 Church Hill Road after a reported minor rear end collision at about 4:31 pm on January 28. Upon arrival, it was reported that Mayra Alexander Clay, 40, of Danbury was operating a 2017 Chevrolet Cruz and turning into a parking lot at that address when she was struck from behind by a 2013 Chevrolet Equinox LS operated by Fred A. Manfredonia, 76, of Southbury. No injuries were reported, and both vehicles were able to be driven from the scene. Manfredonia was issued a verbal warning for failure to drive a reasonable distance apart, resulting in an accident. At about 7:53 pm on January 28, police and ambulance personnel responded to 3 Horseshoe Ridge Road after a reported incident and single-vehicle crash. Upon investigating, police say Patricia O’Brien, 65, of that address, exited her 2003 Honda Civic EX, which was left in neutral and began rolling backward. The operator attempted to re-enter the vehicle to stop it, and was reportedly dragged backward by the open door, causing injuries to her hands, knees, and shoulder. The vehicle continued down the inclined driveway, went off an embankment, struck several trees, and came to rest wedged against a rock outcropping. The operator declined medical treatment at the scene.